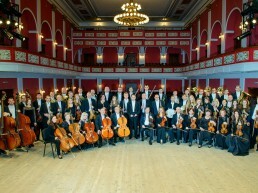 Uniquely, the ensemble’s repertoire includes works composed for orchestra, chorus, and soloists yet grants each participant the role of soloist, representing an instrument in the orchestra or a voice from the chorus. The ensemble meets regularly in Zichron Ya’akov, and rehearses in a homey, family-like atmosphere. The repertoire includes compositions for instruments and voices from different periods – Baroque, Classical music, and most especially – arrangements of Israeli songs and compositions. Conductor and Musical Director, has been Israel’s foremost choral conductor for more than four decades, a status paralleled in his long tenure at the The Buchmann-Mehta School of Music at Tel Aviv University. Born in kibbutz Kfar Giladi in Upper Galilee, he was deeply influenced as a child by its rich musical activity, which retained a continuity with the choral traditions brought by earlier settlers from Europe and further developed on the ideological and cultural soil of Jewish Palestine and Israel. Although he studied conducting at the Schola Cantorum in Paris, Itai began his professional life playing the oboe, becoming principal oboist of the Israel Chamber Orchestra. It was the American conductor Robert Shaw who inspired him to focus his activities on choral music and conducting. 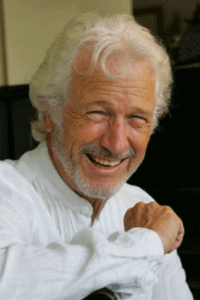 Itai was the conductor of the Ihud (Kibbutzim) Choir for more than thirty years, he founded and has since been conducting the Camaran Singers choir, and later the Collegium Tel-Aviv choir. With those ensembles he toured to great acclaim throughout the world, giving nearly fifty concerts annually. In addition, he was involved in conducting international projects, including the “Songs for Peace”, which toured Europe and feature sacred works of three religions as well as an Arabic choir from Israel. Avner Itai conducted most of the leading Israeli orchestras. In 1999, he also conducted the Bochum Symphony orchestra (Germany), as well as a special CD production with the BBC Singers in London that was released during 2000. Six years ago he founded, with friends-musicians the Ensemble Barocameri for which he also compose vocal-instrumental music and arrangements.